Fox Chairs & Bedchairs There are 14 products. 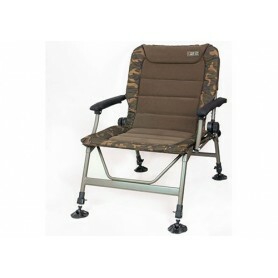 The Fox Warrior Arm chair has comfortable arm rests, a padded cover and adjustable front legs. This modern design coupled with the ‘carpy’ colours will make this a very desirable product for anglers of all abilities and levels. 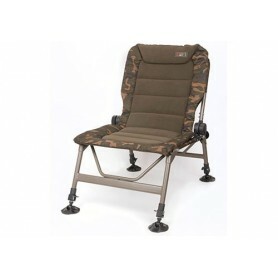 When setting out to develop the Flatliner, Fox’s aim was simple – to produce the flattest bedchair on the market to be just as, if not even more, comfortable than your bed at home! 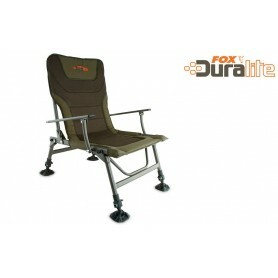 Fox's Flatliner bedchair is now available in a Kingsize version! That's right folks its now longer, higher and wider! The Kingsize Flatliner, for the angler that believes bigger is better! A unique bedchair buddy style chair that has no less than three uses! 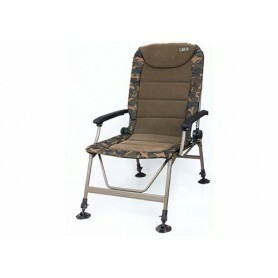 Following the huge success of the R Series Camo bedchairs we were inundated with requests for a range of matching R Series Chairs.